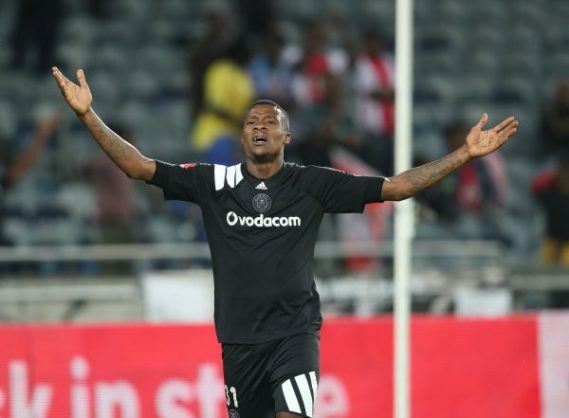 Orlando Pirates’ administrator Floyd Mbele says the club has not discussed the way in the manner in which striker Thamsanqa Gabuza reacted to being booed by Pirates fans. Gabuza walking off the field after helping Pirates take the lead in the 2-1 win over Black Leopards last Tuesday. The Bafana Bafana striker has since apologised to Pirates and the fans, but he could still feel the wrath of the club. “We don’t have a comment to make at the moment. The club will make a statement in due course,” Mbele told The Sowetan.